All people around the world can be categorized into one of three groups. That is to say that there are three basic types of people who exist today. They are the producers, the enablers and the blockers. The producers are those people who produce; not children but ideas and projects, innovations and value added productions that change the life of others. The second type is the enablers who help the producers achieve their task. They might not always appear in the spotlight but they are the best support a person can have. An example of enablers can be your parents. The third and final category of people is the blockers. These people are threatened by the producers and hence try to block them in order to stop the producers from achieving their goal. Most of the people we see fall under the second category. They are busy enabling others to achieve their goals. Meekal Hasan is not one of those people. Meekal Hasan is a leading Pakistani musician and a record producer who has made a name for himself through hard work, sheer determination against all odds and perseverance. He has worked in the capacity of a guest artist and/or record producer in the music industry of Pakistan with many Pakistani bands and solo artists at home and abroad. He is also the leader and composer for perhaps Pakistan’s most critically acclaimed band, Mekaal Hasan Band. Mekaal Hasan was born on 1st December 1972 in Lahore, the second most populated city of Pakistan. His parents are Masood Hasan, a well-known and widely read writer/columnist and also an advertising professional who runs Publicis Pakistan, and Professor Ira Hasan, a renowned and one of the most sought-after teachers of English literature in the country. Mekaal Hasan was surrounded by music from childhood. His father’s passion for jazz influenced him throughout his early years. After graduating from Government College, Lahore, Mekaal studied music at the Berklee College of Music in Boston. Berklee College is the largest independent college of contemporary music in the world which is known for its jazz and modern American music. This place was the best place for him to study and learn from the best teachers in the industry. His stay exposed him to a wide variety of music and musicians, many of whom are influences to this day. 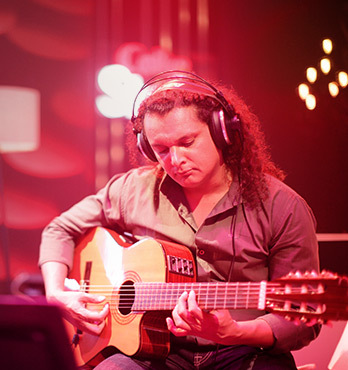 Meekal returned to Pakistan in 1995 before he could complete his degree at Berklee. But he had gained enough knowledge and experience to take the next step forward.Mekaal set up a state of the art recording facility in the country, named as Digital Fidelity Studios where many of the top artists of Pakistan recorded their hits. Mekaal Hasan is also known for his production, record engineering and mixing talents and has produced/engineered the biggest names in Pakistan’s music scene as well as engineering for jazz artists from The UK and Europe. Mekaal Hasan founded Mekaal Hasan Band in 2000, with the intent of featuring traditional music from the subcontinent in a progressive rock-jazz based musical style. The band achieved mainstream success in the sub-continent and across the fusion world from 2004 onwards with its recordings and live performances, leading the band to win numerous awards for their intense live performances and also establishing them as representative of a modern yet traditional style of South Asian music with roots in folk, classical and jazz and literary roots in poetry and writings of Sufi sages and modern Punjabi poets like Amrita Pritam. 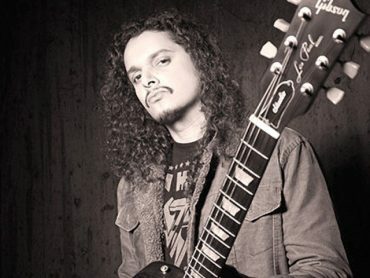 Apart from leading MHB, Mekaal also played bass as a guest artist for one of South Asia’s leading rock bands Junoon for a period of a year from 2005 to 2006. The band focuses on alternative rock, Sufi rock and jazz genres of music. The band members have roots in different genres, including jazz, classical music, soul music, and Sufi rock, the combination of each member has created a sound which has earned MHB fans from a variety of quarters. 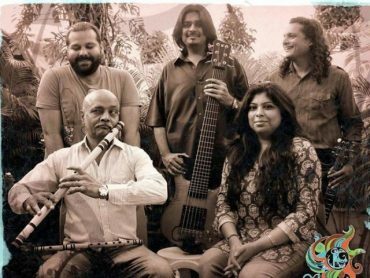 The current band members are Mekaal Hasan as lead guitarist, Muhammad Ahsan Papu as flutist, Sharmistha Chatterjee as lead vocalist, Gino Banks as drummer and Sheldon D’Silva as bass player. Of these, Sharmistha is the most recent inductee in the band. Mekaal Hasan band released their debut album ‘Sampooran’ in 2004 by Virgin Records. The album was a mainstream success with praises about its different approach and a fresh sound in the country. Its following studio album, Saptak, released in 2010 continued the band’s success. In the same year band member Javed Bashir left the band. The band also released their first video of the single ‘Chal Bulleya’ which was later voted as the best music video of 2010 in the country by a poll done by Dawn News. Mekaal Hasan Band won a number of awards and nominations for its recordings, videos and live performances. Mekaal Hasan Band’s latest album features the all new lineup. It was released in September of 2014 in Pakistan and India across iTunes, Taazi, Amazon Music and other platforms. Mekaal Hasan Band released just one video from a live performance of the track ‘Ghunghat’. Despite being a live performance it won song of the year in Express Tribune’s Critics Choice and in the reader polls and also won song of the year by Dawn News. Pakistani music lovers were in for a shocking surprise in 2015 when it was announced by Global Indian Music Awards (GIMA) that Sufi-rock Pakistani band, Mekaal Hasan Band’s (MHB) album Andholan was disqualified from the Best Rock Album category owing to its “foreign origins”. The news came in just a week after it was announced by the platform that the album, which is a joint effort of MHB and Indian vocalist Sharmistha Chatterjee, had been nominated in the awards. The decision also came as a shock to the band who was confused about GIMA’s reasons for dropping out the album. “It is very disappointing and honestly speaking, I fail to understand the reason for cancelling our nomination because their requirements are not clear—their rules are ambiguous. We didn’t ask for a nomination in the first place and given that they deemed us worthy enough to be nominated, disqualifying now doesn’t really make sense to me. The album was not recorded solely in Pakistan; rather half of the work was done in India.” The band’s guitarist Mekaal Hasan said in an interview to Dawn News afterwards. Its very heart breaking to know that Mekaal Hasan Band’s new album Andholan has been disqualified from the GIMA nomination list because GIMA thinks that the album is foreign in origin. Well , I , the singer, am an Indian , living in India and would like to clarify that I have composed almost half the album in India and sung all the songs here in Mumbai, they were recorded in Purple Haze Studios, Bandra, Mumbai . The other half was done in Lahore, Pakistan at Mekaal Hasan’s own studio. This album was very much a joint collaboration of Indian and Pakistani artists. In this particular case I was the only Indian in the album. But one just cannot deny my existence as an Indian singer here. We decided to make this music because it had elements of our joint – shared heritage which goes back to hundreds of years, when India and Pakistan never existed as separate countries. We were thrilled to see GIMA nominating us because it meant that they encouraged our endeavors in music, to re-visit our roots and benefit from each other’s shared cultural musical heritage. This Indo-Pak band from the very onset has been a victim of controversies and I really feel effected as an artist. I also feel immensely happy and grateful to see Mekaal Hasan Band, whose music I admired despite of its geographical location finding me and showing immense faith and conviction in my singing and artistic abilities which many local producers haven’t in my last ten years of existence in Mumbai as an artist. Despite this minor setback among others, Mekaal has not only proven his mantle in the industry after taking on such a complicated challenge, but has also opened doors for numerous other people in Pakistan to follow his footsteps and explore the world of contemporary music which has been lacking in the country for some time. Mekaal is truly a producer and he has enabled others to explore the world of music more freely. 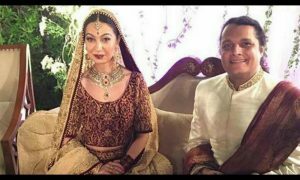 Meekal Hasan recently got hitched with Rubya Choudhry, ravishing model and TV Actress of the Pakistani Entertainment Industry. Crowd and fans were surprised enough to see the news of their wedding on August 10th 2016, coming out through social media because the stars were never thought as dating each other, however the wedding revealed that they had been close friends since a quite long time. Rubya Choudhry is a famous TV artist who have played in many TV serials. She also made a guest appearance in Wajahat Rauf’s famous movie “Karachi Se Lahore”. Her debut in Pakistani Entertainment Industry was in “Zibah Khana” in 2007. Like every band around the globe, the Meekal Hasan Band kept changing its members too all along ever since its foundation was made. Being a top notch and highly skilled band in the industry, many notable artists have joined and left Meekal Hasan Band. The former Meekal Hasan Band had all the Pakistani members however the current band has a blend of both Pakistani and Indian members because art is an independent entity that doesn’t have boundaries or borders that act as a barricade, stopping it from growing. Following are the details of the members according to the timeline of joining and quitting. 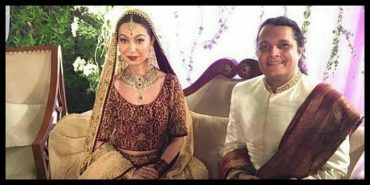 Meekal Hasan & Rubya Chaudhry Got Married Last Night And OMG!